After you’ve browsed through our inventory of new and used cars, you’ve likely found one that you love and want to drive home with you, right? But before you do that, you’ll need to secure a payment plan that works for you and your financial situation. Thankfully, our Finance Center at Pat Peck Kia is staffed by experts who can help you find the ideal plan for your particular needs. They’ll walk you through every step of the car financing process so you feel comfortable before signing. Once you do, you’ll be set to hit the roads of D’Iberville, Gulfport, and Hattiesburg in your Kia! Applying for a financing plan at our dealership is quick and simple, because our application is available online. That means that you can fill it in at your convenience from just about anywhere. Our team will review your information and get back to you as soon as possible to discuss your loan or lease options. To make your experience even more convenient and enjoyable, we’ve provided several helpful tools on our website to assist you. If you plan to replace your current car with your new purchase from our dealership, you’ll want to look into trading in your old car. When you trade in your car, its value will be taken off the price of your new car, and you’ll save yourself the hassle of having to sell the car yourself later. Use our trade valuation tool to determine how much your trade is worth. Our special search tool allows you to search our inventory of vehicles by payment amount. Set a budget for your car’s price, and this calculator will show you your projected monthly payment amount based on the overall price, term of the loan, and APR rate. Once you know how much you have to spend, you can search our inventory based upon the price of each vehicle. 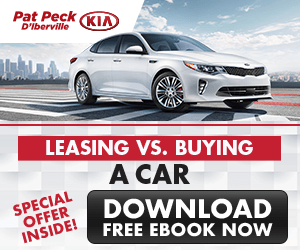 Contact Your D’Iberville Kia Finance Center Today! Ready to get started on your path to purchasing the vehicle of your dreams? 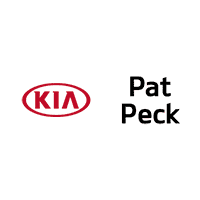 Contact our Finance Center at Pat Peck Kia or fill in our online application, and we’ll work with you to find a fantastic payment plan for your vehicle. Soon, you’ll be driving around D’Iberville, Gulfport, and Hattiesburg in your brand-new Kia!